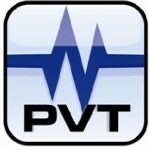 ProvibTech DTM Distributed Monitors - Balance Vibration Technologies, Inc. The DTM also improves the reliability with redundant power supplies and redundant 4-20mA transmission. The smart DTM monitor can interface with almost any proximity probe system. The DTM20 distributed vibration transmitter-monitor provides a simple and cost-effective solution for monitoring balance-of-plant equipment. The DTM improves reliability by having redundant power supplies and redundant 4-20mA transmission. The smart DTM monitor can interface with almost any vibration sensor. The DTM is field configurable. DTM96 will interface with up to 16 DTM modules. It will output most of the channelstatus and overall into Modbus RTU. DTM96 will also control some configuration of the DTM modules. The DTM-CFG works with the DTM96 to interface to the DTM modules. It can also work with the converter, DTM-485-232.